Particular skills and merits of the legionaries of the 1st. cohort helped them to achieve the privilege to use the school- and education centre during leisure times. 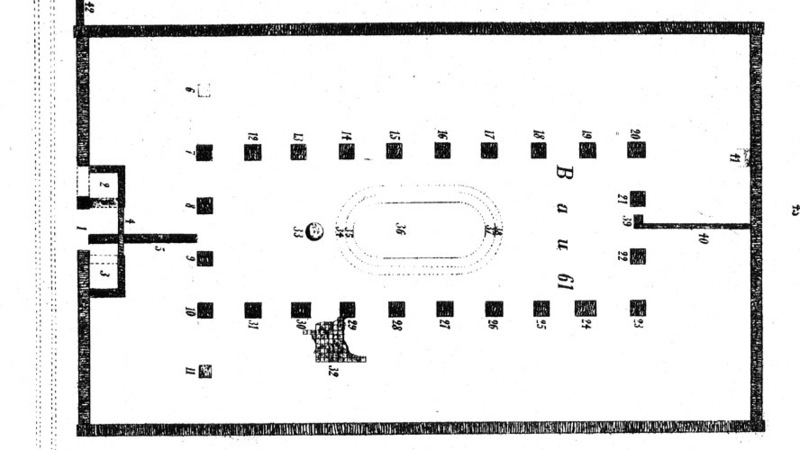 The large-scale open hall was multiply used, e.g. for meetings, trainings and to train fighting. The SCHOLEA was approx. 1500 m2 in size, and there was only one controllable entrance located at the INTERVALLUM, the wide ring road inside the defensive walls. An atrium, which was surrounded by a semi-opened colonnade on three sides, was located right behind the entrance building. There were no closed rooms within the block; only the cross building in the rear was separated to enable two different meetings to be held at the same time. 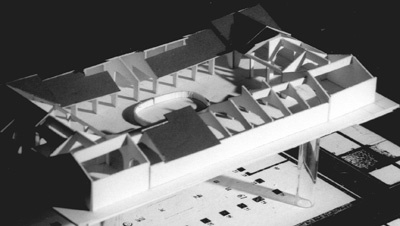 As a particularity the atrium contained a 40m2 sized, oval shaped water basin in the centre that got a connection to the waste water system underneath the VIA SECULARIS. We can assume that this basin was also used for bathing.